The family Luquet has been growing wine for five generations. In 1966, Roger Luquet established his own winery with just 4.5 hectares. 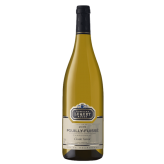 Today, working with his son and daughter, he has 24 hectares in the appellations Pouilly-Fuissé, Saint Veran, Mâcon-Villages and Cremant de Bourgogne. Every year they produce 180,000 bottles, of which 70% are exported. 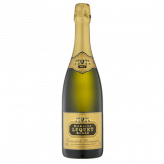 Domaine Luquet eschews any aging in cask, preferring to keep the Chardonnay for his Mâcon, Saint Veran, and Pouilly Fuissé vineyards in contact with the lees in stainless steel casks until bottling takes place the following spring. Additionally, he ferments only with wild yeast, and adds little sulphur. Luquet’s wines are very well balanced and show a stony, mineral-rich character.